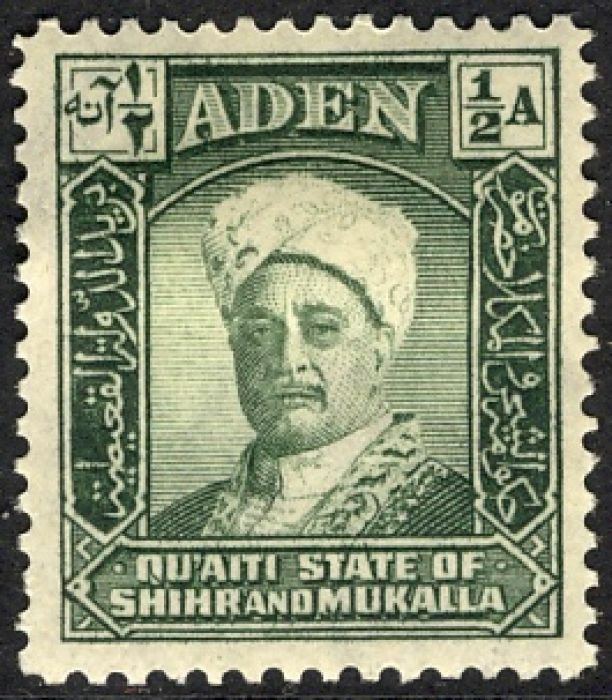 † Both Scott and Gibbons number Qu'aiti State in Hadhramaut as a continuation of Qu'aiti State of Shihr and Mukalla. 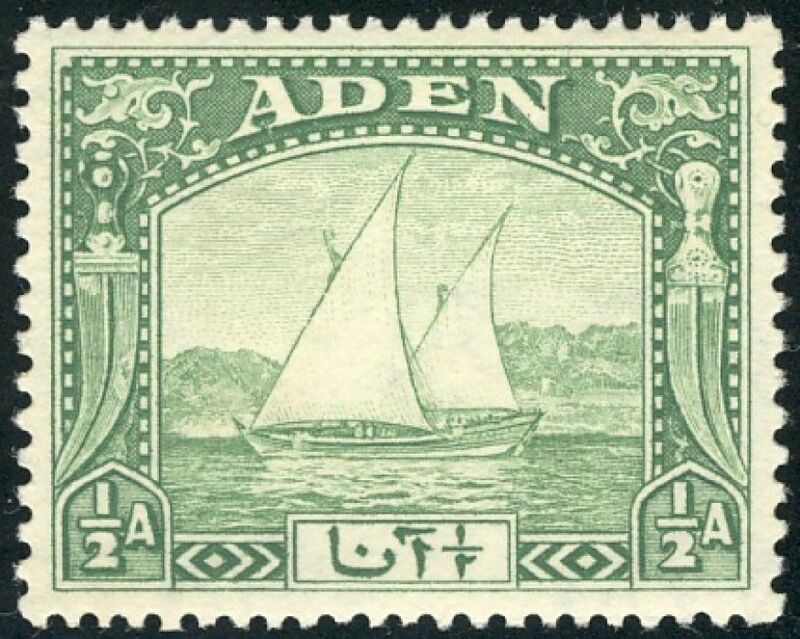 Aden eventually became part of Yemen and the full story is told on that page, but its first issue of stamps was under British Rule. 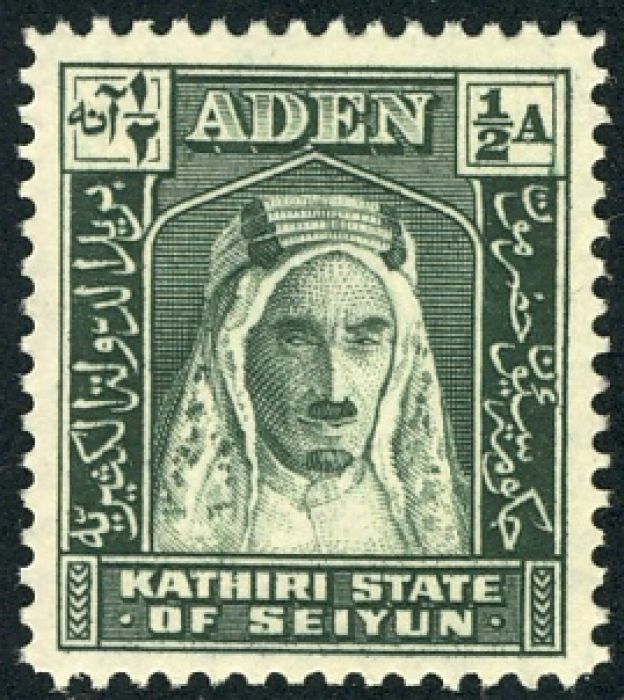 Stamps were also issued for neighbouring sheikdoms under British protection (see Wikipedia on the Aden Protectorates). 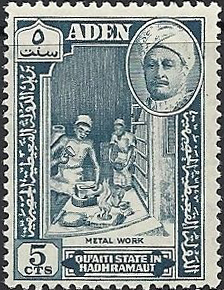 ‡ Listed in Gibbons but not in Scott. 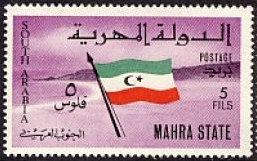 In 1963, these entities combined to form the Federation of South Arabia under British rule. 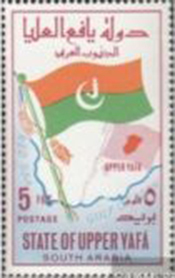 When the Federation became independent from Great Britain in 1967, the People's Republic of Southern Yemen was formed. 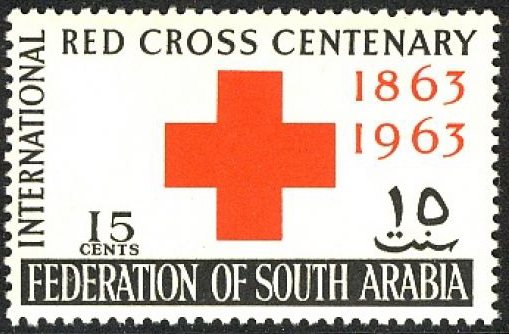 Sources: ScS, SGP19, Journal v9n1p1.